A forever home: the ultimate reward for any rescued horse. A home where a horse will be loved and cared for, with good food to eat and shelter from the storm, with human and animal friends, with room to roam on a sunny day…and to feel safe in the knowledge that he or she will never be cast away again. By the time SAFE offers a horse for adoption, we’ve been through a lot together. We’ve nursed them back to good health and good weight, we’ve spent countless hours getting to know their personalities, their strengths and weaknesses, and their likes and dislikes. In most cases, we’ve either discovered past training, or provided training. And we’ve documented and shared the horse’s entire journey from intake through rehabilitation and training, providing a history of that horse. So when you meet a SAFE horse, at least some of the uncertainty about who that horse is has been eliminated, giving you a much clearer understanding of what you’re taking on as an adopter. And giving you a better chance for success with your new horse partner. The other benefit of adopting a SAFE horse is that by giving one of our rescued horses a home, you’ve opened up a space in our program for another horse who desperately needs our help. You get to help two horses for the price of one, which is pretty great! If you are interested in adopting a horse from SAFE, the first thing you’ll want to do is review our Adoption Policies to see what our requirements are. Then please familiarize yourself with our Adoption Procedures, and submit an Adoption Application. SAFE reserves the right to turn down an adopter for any reason. SAFE will approve adoptions based on what is the best situation for the horse. Often, we have multiple applicants for available horses, but adoptions are not approved on a first‐come, first‐served basis. Our goal is to find the best possible match for the horse and adopter. in addition to regular exercise, horses need to have access to some amount of turnout in a safe pasture or paddock with a mud management plan for high‐traffic turnout areas during the winter months. Site Visits: Potential adopters of SAFE horses are asked to submit to a site inspection prior to approval. 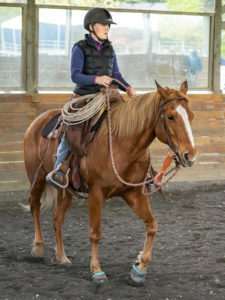 A SAFE representative will meet with the adopter at the location where the horse will be kept to assess that all the above requirements are met. Because of this requirement, SAFE prefers to adopt to people who live within a reasonable driving distance of a SAFE member approved to conduct site visits. 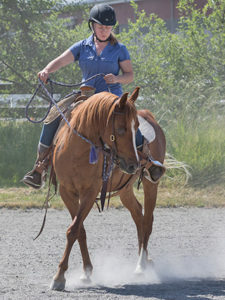 The majority of our horses are adopted within Washington state and northwestern Oregon. No‐Breeding Policy: Because SAFE is a rescue, we are faced with too many horses that are unwanted, forgotten, and discarded. We also see a large number of broodmares that are sent to slaughter after coming up barren for a season. As an organization, SAFE feels that excessive breeding of horses is a large factor in the problem of unwanted, discarded horses. Therefore, it is our policy that mares and fillies adopted from SAFE may not be used for future breeding and all stallions and colts will be gelded before they are offered for adoption. Future SAFE Involvement with Horse: SAFE will maintain an interest in the horse throughout its lifetime. We will perform yearly site visits and ask for regular updates on how the horse is doing. We do not adopt out to people who are specifically looking for resale prospects. We typically do not adopt horses to lesson barns looking for school horses. We do not adopt horses to summer camps. Rehoming Policy: Although we are looking for forever homes for all of our adopted horses, we realize that situations change and we understand that sometimes a SAFE horse needs to be rehomed. However, we expect all of our adopters agree to take responsibility for rehoming their horses if that need should arise. The first thing we ask is that adopters contact us at the first sign of trouble, so we can work together to do what’s right for the horse. Rehoming a SAFE horse is permitted under the terms of our adoption contract, but the new home must meet our adoption criteria, and the new owners must sign an adoption contract. The goal is not to disallow an adopter from selling a horse, it is simply to ensure that a previously rescued horse never ends up in a bad situation again. SAFE reserves the right to remove the horse from any situation in which the horse is not being cared for properly or is deemed unsafe. This right extends for the life of the horse. First‐time Horse Owners: SAFE welcomes and encourages first‐time horse owners to apply for adoption. We do ask that there be an experienced horse person available to provide guidance to the first time horse owner and help when needed. Our first priority is assuring that both the horse and the adopter will be safe. Please be aware that until you have signed an adoption contract, paid an adoption fee, and transported the horse to your facility, the horse will still be considered available for adoption. We will continue to accept Adoption Applications for that horse up until the point that the adoption is complete. We do not “hold” horses, even for applications in process, and we do not work on a first‐come, first‐served basis. In the case of multiple applicants, we will choose the adopter we feel is best suited for the horse. There may be very rare exceptions to the above policies. Before you submit an Adoption Application, please review SAFE’s Adoption Policies (above) to ensure that you meet the minimum requirements for adoption. Also please visit our website at www.safehorses.org to familiarize yourself with the horse you are interested in. If you decide to pursue adoption, please complete and submit an adoption application. We do require a completed application before we can show the horse to you and allow you to ride it. A member of the Adoption Committee will review your application within 2–3 business days. You will then be contacted for an informational phone interview, which gives us a chance to get to know you a little better, and learn more about what you’re looking for and what type of commitment you are able to make. You’ll also have the chance to ask specific questions about the horse and discuss the horse with someone who knows it well. 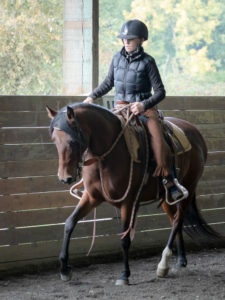 If necessary, a second or third showing can be arranged for another opportunity to ride or work with the horse. If you decide that you’d like to move forward with the adoption, your application will be processed, your references will be contacted, and a site visit to the facility where the horse will live will be arranged. Please contact your references to make sure they are prepared to receive a call from one of our representatives. We also ask that you give consent to your veterinarian and farrier to release information regarding horse care to us. This part of the process usually takes 3–5 days, depending on how available your references make themselves. If our phone calls are not returned promptly, that will delay the process. The Adoption Committee will review all of the gathered information and make a decision on the adoption in accordance with SAFE’s Adoption Policies and the best interest of the horse. We will then notify you of our decision. If approved to adopt, you will review, sign and return an original copy of the SAFE Adoption Contract along with any applicable adoption fees. You will schedule transport of the horse. Limited delivery may be available if you do not have transport of your own, although SAFE does ask for compensation for transport expenses.